Jessie Traill’s Building the Harbour Bridge series is her most significant achievement as an artist, and a remarkable record of what was then the largest and most ambitious engineering project in Australian history. or photographed its parts, will feel with these workmen a sort of pride of possession, and it will be OUR BRIDGE too. Signed and dated l.r. 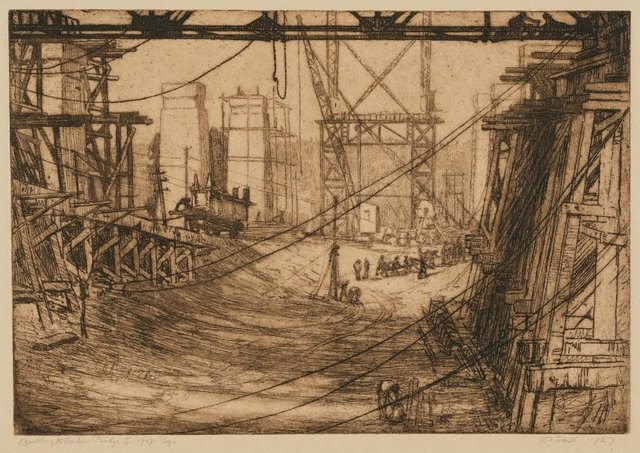 beneath platemark, pencil "JCA Traill 1927. ".